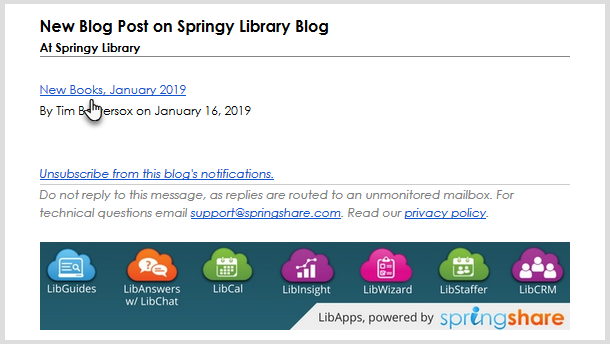 By subscribing to a blog, users will receive an email notification each time a new post is published. These notifications will containing a link directly to the post, making it easy for users to stay up to date with the latest info. 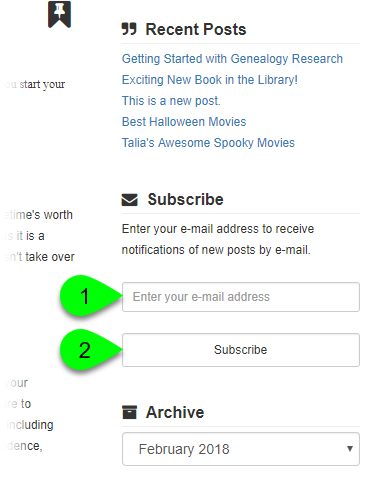 In the Subscribe box in your blog's sidebar, enter your email address in the text field. Keep an eye out for an email confirmation: you will need to click the link in this email to verify your subscription. You will not receive new post notifications until you've verified your address. Didn't receive the email? Check your spam folder or ask your IT staff to see if your email server quarantined it as spam. 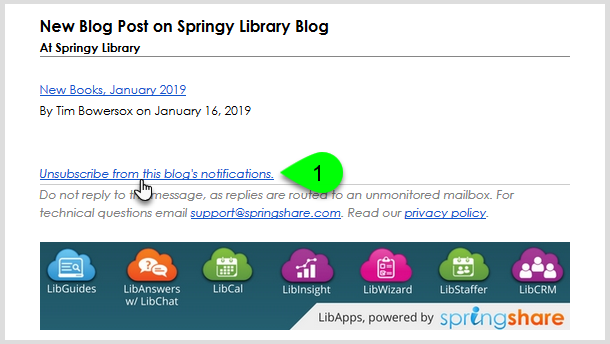 To unsubscribe from these notifications, users can simply click the You can unsubscribe from this list at any time link at the bottom of any notification email. 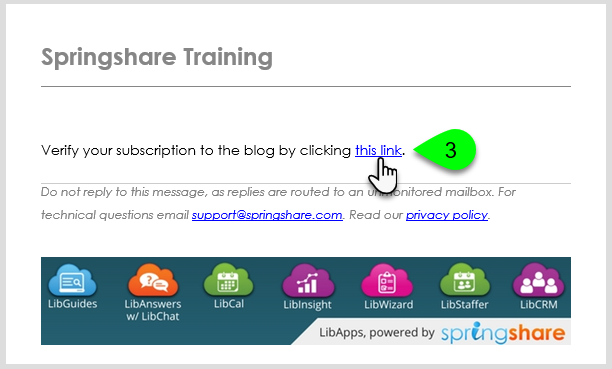 Blog admins can also unsubscribe any email address in the Blog Management options, under the Subscribers tab.